A good trend in recent games is the short, narrative oriented, experience plays. Games that a player can finish in one sitting and games that leave the player with a sense of lasting thought. 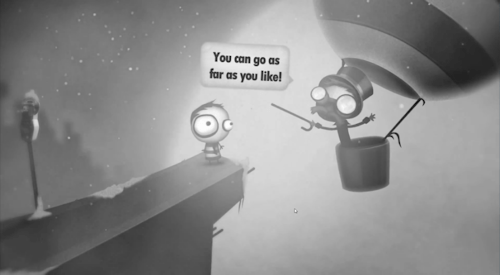 Little Inferno is one such experience; the message here is not explicitly pushed onto the player, it is more or less open to interpretation thanks to its many characters. It has been explored in different ways by different players, my experience left me thinking about the nature of the characters in it’s world, it’s representation of action without thought. Most of it could be projections of my thought on what may not have been the intention of the game creator, could be part of my distorted reality of what the game contained, but the game was able to facilitate this thought, which is admirable. The Eyes that never open. It all starts with the question of why the face in the Little Inferno fireplace has it’s eyes closed the whole time. It is an omnipresent face that is situated right at the center of the fireplace; the fireplace, in front of which, you spend most of your time. 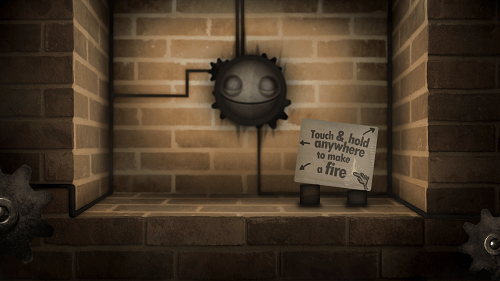 After perhaps completing the first catalog of items to burn, I hardly noticed that the face existed; it was just there, in the background, spinning it’s cogs. As I progressed through the game, thanks to my neighbor Sugar Plumps who kept sending me messages, I soon realized that I had become this machine which was just ignoring the world around me, and burning things. So immersed in burning that I didn’t realize I could not turn my head until Sugar Plumps mentioned it to me. I was so fixated on playing the game, “completing it” and thinking of just “finishing it” that I too, much like the player character in the game, did not even think of looking at anything for the whole duration. Only after I finally burn everything and am forced outside of my house because there is no fireplace or house anymore, I learn more about the world. I realized that the city in the game was in its current state because some kindhearted lady just wanted to “follow her dreams” and did just what she wanted to do. Never looking back, never thinking twice. No matter how good the intention or clear the heart, the entrepreneur was unable to realize that with goals only of “making everyone happy” and giving people something to play, she never saw that it was in turn creating this city where no one could do or think of anything but play what she had created. That is when I thought that much like the closed eyes in the fireplace, the lady represented people of the real world who just wish to get through life doing what they think is right. If one does not stop for a moment and “open their eyes” to look at what they are doing, where they are and how it effects others around them, the eventuality is just like it is in the world of Little Inferno. One can keep performing one action for a certain amount of time, and then once that action goes away, becomes irrelevant, they must be equipped to do something else. The eyes that never blink. The game also talks about the fallacy of working with closed eyes. Miss Nancy saw that the conditions outside were bad for kids to go out and made this toy for them which would help them be safe inside and have fun. She proceeded in that one train of thought, never introspected on what she was doing and went on to produce more and more Little Infernos. This in-turn became the major cause for why the bad weather around the city worsened. This also became the reason why no one was going outside and just staying in their homes. “They are inside and safe!”, that is the only thought that came in to Miss Nancy’s mind as she kept on making more Little Infernos with her eyes closed. Not changing her ways, when confronted by the main character, she talks of moving on to some other dream, a BIGGER DREAM, and accomplishing that. Done with one task, then off to the other; Miss Nancy would always think of herself as the one who gave toys to every kid when the weather got bad (and the went on to do something bigger), never realizing what she had actually done, because she had always done everything with her eyes closed, just like the face in the Little Inferno, burning things, doing something it was programmed to do, something it thought it is supposed to do, and then eventually perishing out of existence when it’s task is done. This can also be said about the game industry in general, which has been making games for ever; happy that it has given entertainment to people and given a source of connection to many, but not thinking of the environment and world that it creates because its intended creation, the games, were done mostly with just one track mind. But of course, after phasing out of the “get quarters” and then the “feel powerful” cycle of life for games, the industry is also now opening its eyes, introspecting, freely talking about itself and thinking before acting. Not just aiming for better graphics, larger worlds or BIGGER DREAMs; but blinking it’s eyes and thinking. Off the next pursuit! Where? Nobody knows, nobody cares, somewhere else. Another Observation: The only characters that blink their eyes in the game are the spiders that walk along the wall and all eventually burn to their death. One could say they have blinked and seen what the world has become, but with no way to talk or communicate, decided to willfully meet their fate sooner. 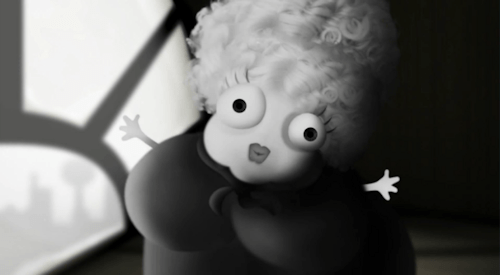 The rest of the characters, have their eyes wide open for the most part. I never noticed them blink.